How do we define rarity? 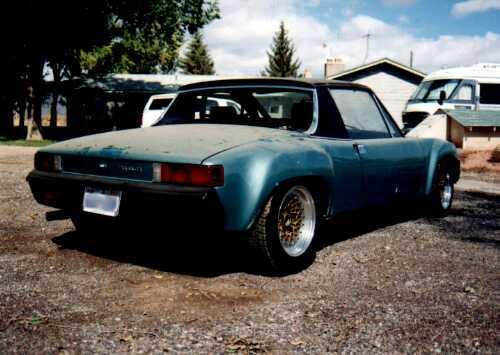 When it was built, the 914 was the most prolific and the least rare Porsche ever made. More than 200,000 of them made it to market between 1969 and 1976, far eclipsing 911 and 912 sales. A 914, then, could not be called rare, could it? Well, there were certainly some variants of 914 that are very rare indeed. The 914-6 model, for example, only sold 3,338 examples before production stopped in 1972. A mere 48 of the competition homologation special M471 914-6 GT models were made for racers to take advantage of. Even more rare is the 916, essentially a 1972 911S dressed in a 914 body, of which only 11 were built. What about the extreme rarity of the "Glockler 914"? Only 3 were produced! Among those three, only one was built on an existing and aforementioned M471 914-6 GT chassis. Chassis number 914 043 1258 was taken from the standard production line at Karmann and dropped off at Porsche’s motorsport center, Werk 1. Once the chassis arrived, the Werk 1 crew equipped the 914 with some special components to bring it to GT specification. 911S aluminum calipers were added at the front, caliper spacers added at the back, and vented rotors employed at all four corners. A roll bar was installed inside along with a pair of well-bolstered sport-seats. A 906-style oil cooler was added to the front trunk, as well as the required ducting and special air-inlet bumper and lower valance. After receiving a gorgeous coat of Canary Yellow paint, it was delivered to Autohaus MAHAG for resale. The already rare car was then taken from MAHAG to the unique workshops of Otto Glockler for even more interesting modifications. The Glockler family was well entrenched with the history of Porsche. Walter Glockler was good friends with Von Hanstein, running the de-facto Porsche motorsports team in the early 1950s, building several Porsche powered “special” racing cars. Walter’s cousin, Helm Glockler, partnered with Hans Hermann for a 1.5 liter class victory at Le Mans in a 550 Spyder. Otto Glockler preferred to race on two-wheels, winning on Norton motorcycles, but still developed an affinity for Porsche. Otto took 914 “1258” in and began adding some flavorful bodywork to the car, making for a truly unique racing car. The Porsche’s pop-up headlamps were removed, and the front trunk lid was modified to hide the now-absent headlamp buckets. The fender mounted oval turn signals were covered over to create a unique look. With no lights remaining on the front of the car, a four-headlamp system was cribbed from Volkswagen’s type-3 “variant” model and grafted into the front bumper of this special ‘teener. After receiving the car back at MAHAG, the Porsche was extensively advertised at 58,000 Deutsche Marks, and eventually sold to a local customer on July 24th of 1970. MAHAG provided service work on the car through 1971, and later resold the car to a buyer in the United States. 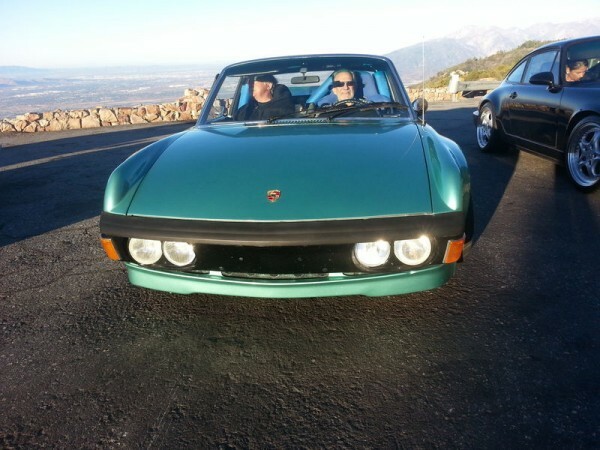 By this time, the 914 had already received a number of other upgrades, including a 187 horsepower engine, a UKW/cassette player head unit, and newly applied hellblau-metallic paint. Once in the USA, by this time it was 1972, the Glockler GT wound up at Wester Porsche/Audi in Monterey, California before selling on to Dr. Marvin Taves in Reno, Nevada. Taves used the car as it was originally intended, for racing, through the late 1970s. His outings with the Glockler were not particularly high-profile, but the Porsche certainly got a workout on tracks all around the Southwest. It isn't clear when, but it is believed that the car received a Carrera 2.7 spec engine under Taves' stewardship. When Dr. Taves offered the car on consignment at Beverly Hills Porsche in 1977, it caught the eye of Ron and Barbara Webb, who ended up purchasing the 914 Glockler. Again, the Porsche was predominately used for amateur racing events, with Ron and Barbara entering it in numerous autocross and time trial events with the Porsche Club of America and the Porsche Owners Club. Through the course of the 1980s, the car gained a pair of lightweight 3-piece racing wheels, and a pair of reflectors in the rear bumper, while a set of USA specification tail lamp lenses replaced the original euro-spec pieces, and a ‘special-edition’ front valance replaced the original 914-6 GT vented valance. The couple continued racing the Porsche until they retired to Utah in 1992, when it was used as an occasional driver. When Ron passed away in 1998, Barbara placed the car into storage until a buyer was found in late 2002. A friend and fellow competitor of the couple, Mr. Greg Fullmer purchased the car from storage, and returned it to the road once more. Though the Porsche had remained in storage for a number of years, it had predominately been a Southwestern car, and had accumulated no rust anywhere. The car was still in excellent condition, a small wrinkle in the driver’s side front fender notwithstanding. The 914 appeared to have aged quite well, despite the car’s reputation for tin-worm damage. When extracted from storage, the Porsche was a bit dusty, but little worse for wear. In Mr. Fullmer’s care, the 914 received a very large 935-esque whaletail, and found itself once again sitting on a beautiful set of classic Fuchs wheels. It appears at this point to have received a second re-paint in a shade more equivalent to Aqua metallic than the light silver-blue of ‘hellblau’, and at the same time, the fender wrinkle was repaired. As a fair-weather driver in So-Cal, the Porsche was well cared for, and doesn’t look far removed today from the day it was built. The Glockler 914, now in the care of our friends over at Chequered Flag (although you won't find it on their web-site) in Marina Del Ray, has been lovingly cared for, with some light ‘return to glory’ work having been carried out. The whaletail is now, thankfully, sleeping with the fishes, the bright work gleams, and the metallic paint glistens. The car is currently for sale, but no word has been given on price. 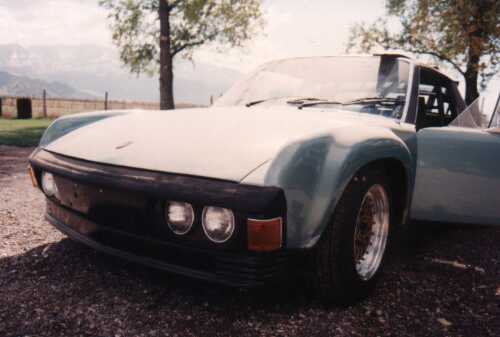 The only other known remaining Glockler 914 has recently received a full restoration back to standard spec 914-6, making this car the only one left with Glockler bodywork. If you've ever wanted a truly unique and historically significant car, now is the time to buy! You can get in touch with Chequered Flag via email or call them at 310-827-8665. Is The Porsche 914 Finally Getting The Respect It Deserves? hi, is this car still available for sale + at what price please ? Glad you like the 914. You should contact the seller directly at 310-827-8665. Hi, I heard that the car sold pretty quickly !